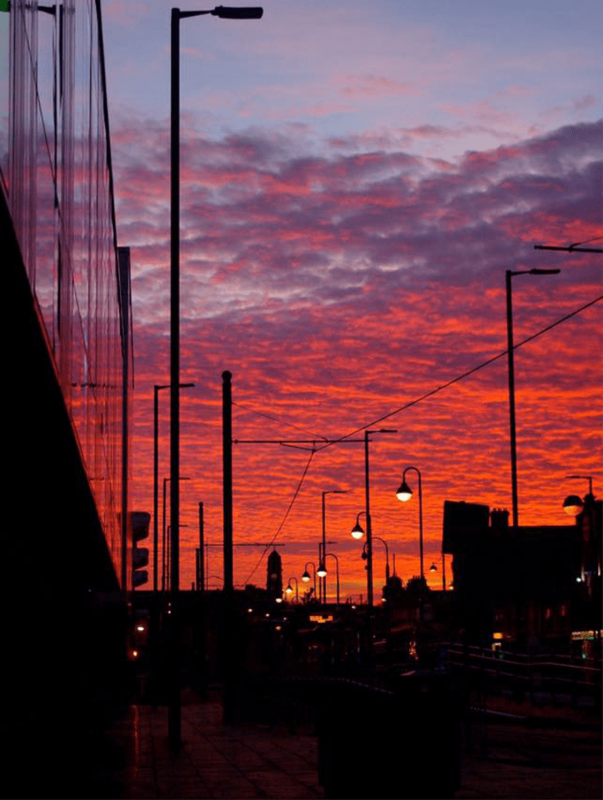 Reader Zoe Norris sent in these pictures of a stunning sunset in Eccles. Zoe, whose pictures of Ellesmere Park won her Highly Commended status in SalfordOnline.com’s Autumn Colours 2015 Photo Competition, pulled out these stunners standing on Regent Street looking back towards Church Street and the centre of the town. The deep reds, oranges and purple hues are reflected back into the street from the glass monolith of the City West Housing Trust building. These late-evening skies, while beautiful, are infuriatingly short-lasting – the shifting patterns of colour and tone are ephemeral by nature and it’s only possible to watch for minutes at a time before they disappear. 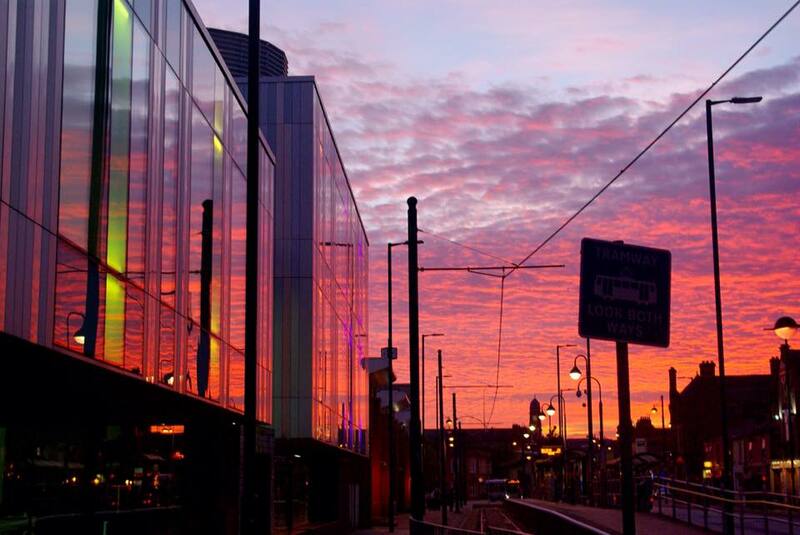 So we’re grateful to Zoe for capturing these artistic shots in the moment they arrived over Eccles.